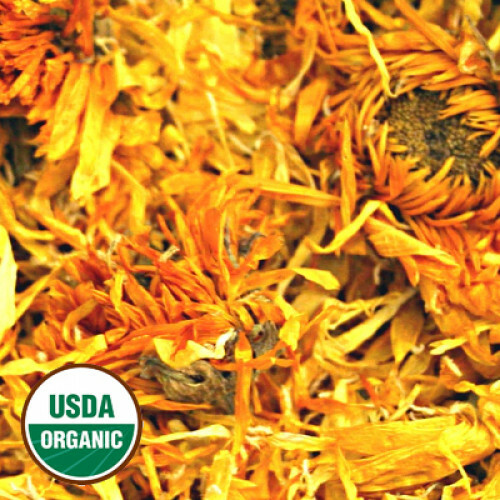 Organic Calendula has long been recognised for use homeopathic preparations in order to restore skin and health. It is said to have antioxidant, antiseptic, anti-inflammatory and regenerating properties, and has been proven to aid in wound healing. It has soothing and skin softening properties, and is considered a good choice when preparing a massage oil blend with other carrier and essential oils. It is said to have antioxidant, antiseptic, anti-inflammatory and regenerating properties, and has been proven to aid in wound healing. It has soothing and skin softening properties, and is considered a good choice when preparing a massage oil blend with other carrier and essential oils.